Chinese philosophy originates in the Spring and Autumn period and Warring States period, during a period known as the "Hundred Schools of Thought", which was characterized by significant intellectual and cultural developments. Although much of Chinese philosophy begins in the Warring States period, elements of Chinese philosophy have existed for several thousand years; some can be found in the Yi Jing (the Book of Changes), an ancient compendium of divination, which dates back to at least 672 BCE. 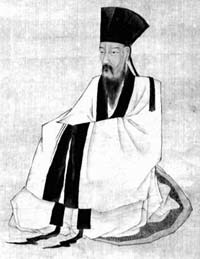 It was during the Warring States era that what Sima Tan termed the major philosophical schools of China: Confucianism, Legalism, and Taoism, arose, along with philosophies that later fell into obscurity, like Agriculturalism, Mohism, Chinese Naturalism, and the Logicians. Early Shang dynasty thought was based upon cycles. This notion stems from what the people of the Shang Dynasty could observe around them: day and night cycled, the seasons progressed again and again, and even the moon waxed and waned until it waxed again. Thus, this notion, which remained relevant throughout Chinese history, reflects the order of nature. In juxtaposition, it also marks a fundamental distinction from western philosophy, in which the dominant view of time is a linear progression. During the Shang, fate could be manipulated by great deities, commonly translated as gods. [vague] Ancestor worship was present and universally recognized. There was also human and animal sacrifice. Confucianism developed during the Spring and Autumn period from the teachings of the Chinese philosopher Confucius (551–479 BCE), who considered himself a retransmitter of Zhou values. His philosophy concerns the fields of ethics and politics, emphasizing personal and governmental morality, correctness of social relationships, justice, traditionalism, and sincerity. The Analects stress the importance of ritual, but also the importance of 'ren', which loosely translates as 'human-heartedness, Confucianism, along with Legalism, is responsible for creating the world’s first meritocracy, which holds that one's status should be determined by education and character rather than ancestry, wealth, or friendship. Confucianism was and continues to be a major influence in Chinese culture, the state of China and the surrounding areas of East Asia. Around 500 BCE, after the Zhou state weakened and China moved into the Spring and Autumn period, the classic period of Chinese philosophy began. This is known as the Hundred Schools of Thought (諸子百家; zhūzǐ bǎijiā; "various scholars, hundred schools"). This period is considered the golden age of Chinese philosophy. Of the many schools founded at this time and during the subsequent Warring States period, the four most influential ones were Confucianism, Daoism (often spelled "Taoism"), Mohism and Legalism. Confucianism is a philosophical school developed from the teachings of Confucius collected and written by his disciples after his death in The Analects, and in the Warring States period, Mencius in The Mencius and Xunzi in The Xunzi. It is a system of moral, social, political, and religious thought that has had tremendous influence on Chinese history, thought, and culture down to the 20th century. Some Westerners have considered it to have been the "state religion" of imperial China because of its lasting influence on Asian culture. Its influence also spread to Korea, Japan, Vietnam and many other Asian countries. Confucianism reached its peak of influence during the Tang and Song Dynasties under a rebranded Confucianism called Neo-Confucianism. Confucius expanded on the already present ideas of Chinese religion and culture to reflect the time period and environment of political chaos during the Warring States period. Because Confucius embedded the Chinese culture so heavily into his philosophy it was able to resonate with the people of China. This high approval of Confucianism can be seen through the reverence of Confucius in modern-day China. Daoism is a philosophy and later also developed into a religion based on the texts the Tao Te Ching (Dào Dé Jīng; ascribed to Laozi) and the Zhuangzi (partly ascribed to Zhuangzi). The character Dao 道 (Dao) literally means "path" or "way". However, in Taoism it refers more often to a meta-physical term that describes a force that encompasses the entire universe but which cannot be described nor felt. All major Chinese philosophical schools have investigated the correct Way to go about a moral life, but in Taoism it takes on the most abstract meanings, leading this school to be named after it. It advocated nonaction (wu wei), the strength of softness, spontaneity, and relativism. Although it serves as a rival to Confucianism, a school of active morality, this rivalry is compromised and given perspective by the idiom "practise Confucianism on the outside, Taoism on the inside." Most of Taoism's focus is on what is perceived to be the undeniable fact that human attempts to make the world better actually make the world worse. Therefore, it is better to strive for harmony, minimising potentially harmful interference with nature or in human affairs. The School of Naturalists or the School of Yin-yang (陰陽家/阴阳家; Yīnyángjiā; Yin-yang-chia; "School of Yin-Yang") was a Warring States era philosophy that synthesized the concepts of yin-yang and the Wu Xing; Zou Yan is considered the founder of this school. His theory attempted to explain the universe in terms of basic forces in nature: the complementary agents of yin (dark, cold, female, negative) and yang (light, hot, male, positive) and the Five Elements or Five Phases (water, fire, wood, metal, and earth). In its early days, this theory was most strongly associated with the states of Yan and Qi. In later periods, these epistemological theories came to hold significance in both philosophy and popular belief. This school was absorbed into Taoism's alchemic and magical dimensions as well as into the Chinese medical framework. The earliest surviving recordings of this are in the Ma Wang Dui texts and Huang Di Nei Jing. Xuanxue was a philosophical school that combined elements of Confucianism and Taoism to reinterpret the I Ching, Tao Te Ching, and Zhuangzi. The most important philosophers of this movement were Wang Bi, Xiang Xiu and Guo Xiang. The main question of this school was whether Being came before Not-Being (in Chinese, ming and wuming). 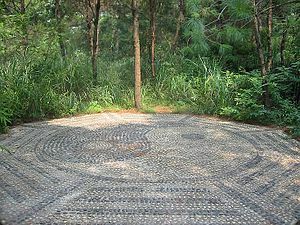 A peculiar feature of these Taoist thinkers, like the Seven Sages of the Bamboo Grove, was the concept of feng liu (lit. wind and flow), a sort of romantic spirit which encouraged following the natural and instinctive impulse. Buddhism until the 4th century A.D had little impact on China but in the 4th century its teachings hybridized with those of Taoism. Buddhism brought to China the idea of many hells, where sinners went, but the deceased sinners souls could be saved by pious acts. Since Chinese traditional thought focused more on ethics rather than metaphysics, the merging of Buddhist and Taoist concepts developed several schools distinct from the originating Indian schools. The most prominent examples with philosophical merit are Sanlun, Tiantai, Huayan, and Chán (a.k.a. Zen). They investigate consciousness, levels of truth, whether reality is ultimately empty, and how enlightenment is to be achieved. Buddhism has a spiritual aspect that compliments the action of Neo-Confucianism, with prominent Neo-Confucians advocating certain forms of meditation. During the Industrial and Modern Ages, Chinese philosophy had also begun to integrate concepts of Western philosophy, as steps toward modernization. Notably, Chinese philosophy never developed the concept of human rights, so that classical Chinese lacked words for them. Until 1864, W.A.P. Martin had to invent the word quanli（Chinese:权利/權利） to translate the Western concept of "rights" in the process of translating Henry Wheaton's Elements of International Law into classical Chinese. By the time of the Xinhai Revolution in 1911, there were many calls such as the May Fourth Movement to completely abolish the old imperial institutions and practices of China. There have been attempts to incorporate democracy, republicanism, and industrialism into Chinese philosophy, notably by Sun Yat-Sen at the beginning of the 20th century. Mao Zedong added Marxism, Stalinism, Chinese Marxist Philosophy and other communist thought. When the Communist Party of China took over the reign, previous schools of thought, excepting notably Legalism, were denounced as backward, and later even purged during the Cultural Revolution, whereas their influences on Chinese thoughts remain until today. The current government of the People's Republic of China is trying to encourage a form of market socialism. Since the radical movement of the Cultural Revolution, the Chinese government has become much more tolerant with the practice of traditional beliefs. The 1978 Constitution of the People's Republic of China guarantees "freedom of religion" with a number of restrictions. Spiritual and philosophical institutions have been allowed to be established or re-established, as long they are not perceived to be a threat to the power of the CPC. Moreover, those organizations are heavily monitored. The influences of the past are still deeply ingrained in the Chinese culture. ^ a b Ebrey, Patricia (2010). The Cambridge Illustrated History of China. Cambridge University Press. p. 42. ^ Kung Fu Tze (Confucius) (1998). D. C. Lau (Translator) (ed.). The Analects. Penguin Classics. ISBN 0-14-044348-7. ^ Deutsch, Eliot; Ronald Bontekoei (1999). A companion to world philosophies. Wiley Blackwell. p. 183. ^ Sellmann, James Daryl (2010). Timing and rulership in Master Lü's Spring and Autumn annals. SUNY Press. p. 76. ^ a b Denecke, Wiebke (2011). The Dynamics of Masters Literature: Early Chinese Thought from Confucius to Han Feizi. Harvard University Press. p. 38. ^ a b Shawn Eichman (2000). Taoism and the Arts of China. University of California Press. pp. 45–. ISBN 978-0-520-22785-9. ^ Chan 2002, p. 460. ^ Huang, Siu-chi (1999). Essentials of Neo-Confucianism: Eight Major Philosophers of the Song and Ming Periods. Westport: Greenwood Press. p. 5. ^ Cao, Deborah (2004). Chinese Law: A Language Perspective. Ashgate Publishing. pp. 71–72. Jana S. Rošker, Searching for the Way: Theory of Knowledge in Pre-modern and Modern Chinese Philosophy Hong Kong Chinese University Press, 2008. Perkins, Franklin. "Metaphysics in Chinese Philosophy". In Zalta, Edward N. (ed.). Stanford Encyclopedia of Philosophy. Wong, David. "Comparative Philosophy: Chinese and Western". In Zalta, Edward N. (ed.). Stanford Encyclopedia of Philosophy. Zalta, Edward N. (ed.). "Translating and Interpreting Chinese Philosophy". Stanford Encyclopedia of Philosophy. Rošker, Jana. "Epistemology in Chinese Philosophy". In Zalta, Edward N. (ed.). Stanford Encyclopedia of Philosophy.